Josie manages the Farm Stands in Food Deserts and Veterans Education Program. Josie is inspired to connect people with the farm, especially at CSA distributions--which are like a weekly mini-celebration of fresh food--and at the farm stands by providing under-served neighborhoods access to fresh food. "By creating a farm that belongs to all of us, we give it back to the land, and we let the land do what it does best by nurturing our family". Josie grows the cut flowers for the CSA and markets. Phil manages the Chatfield Farms CSA. He has been growing food since 2002 when he started as an intern at a former commune deep in the Northern California woods. From planting epasote amid rubble in vacant lots in New York City to spending days atop a tractor plowing the ground for a 55-acre farm, Phil's had a wild ride through the world of agriculture, settling happily at Chatfield Farms. 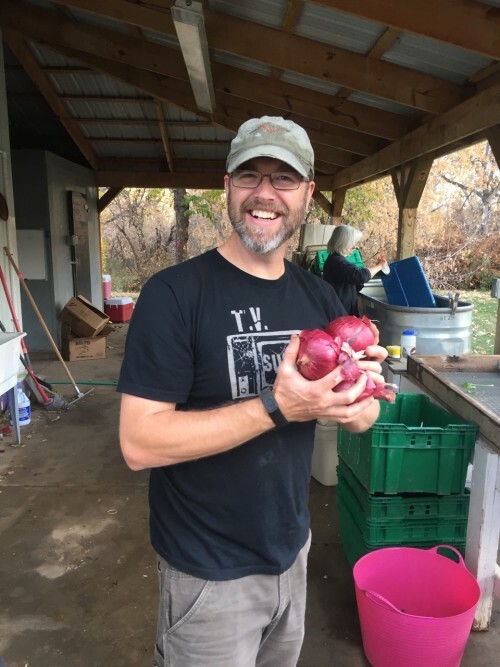 Phil grows the best arugula, hakueri turnips and shallots. He isn't afraid to grow things like sweet potatoes and Brussels's sprouts either! Chris has a background of music festivals, hippy reunions, Tibetan prayer flags and local agriculture. He likes to ride his bike 20-30 miles a day and enjoys truck driving, fine art and playing music in his band - Klaus Dafoe. Chris's favorite foods are a peach cobbler and frozen bananas. 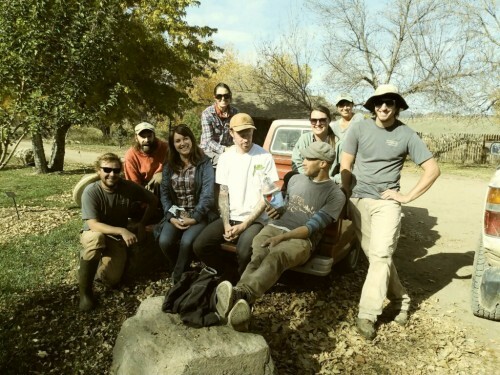 Royce owns and operates Guffarmery, an urban farm in Denver. He graduated from the Veterans to Farmers Program at Chatfield in 2017 and is now a full time educator for our veterans and other students of farming. Royce also teaches workshops on homesteading topics such as fermentation, baking and brewing. After teaching in public schools for many years, Royce’s diverse experience in military, agriculture and education is a perfect fit for our program.